Inadequate. Incredibly inadequate and unable to perform the simplest tasks. That’s how I felt after the initial adrenalin rush that carried us through Pedro’s cancer diagnosis and first few rounds of treatment. The last quarter of school had progressed in a haze of lack of sleep, worry and multitasking. I knew I hadn’t done my best, and now an irate parent had raked me over the coals and spread rumors and opinions about me all over the state of Montana (it’s a small state, with a lot of far-flung family members). The move to Montana at the beginning of that school year, the new jobs and new school for our daughters had provided enough stress, thank you very much, without the added health crisis. The endless list of things to do sat on the counter—with nothing marked off. I couldn’t even remember when Pedro would return from his chemo treatments in California, much less plan scintillating lessons for restless teenagers during their last week of school. The angry parent had it right—I was a horrible teacher. I probably wasn’t much of a parent either—especially with Pedro gone for large chunks of time while he received treatment for his non-Hodgkin’s Lymphoma. Shoot, I couldn’t even remember what we needed when I stood in the grocery store aisles staring blankly at the food (what WAS I doing in the meat aisle? We’re vegetarians!). When I reached home, I dropped to my knees next to my unmade bed. I didn’t have enough energy left to cry. Inadequate. Incompetent. Unprepared. The words marched in vicious circles around my brain. I launched a prayer for help heavenward and tiredly awaited a response. No audible word from God seemed forthcoming, so I slouched over to my chair and grabbed my journal. Writing about things always seemed to provide relief. So maybe the last quarter hadn’t gone as I had planned. It’s not easy preparing lessons plans for a sub, spending nights in the hospital with my husband and worrying about our daughters. The school year hadn’t been my best, but God would help me do better (and survive through the end of the school year). Sitting in my darkened bedroom feeling sorry for myself and listening to the lies of the evil one would do me no good. I couldn’t let one woman’s wounding words affect me. I could take the criticism and choose to improve the areas I knew needed improving. 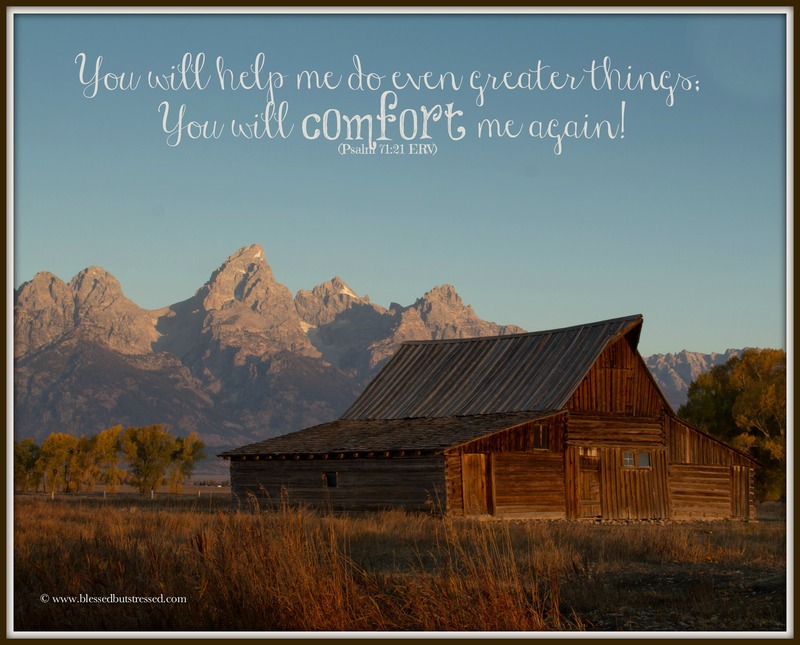 I needed to step out in God’s comfort. The promise is there for you, too, fellow caregiver. Grant yourself grace for your journey—it’s not an easy one. You will mess up. You will let things slide. You will feel inadequate. 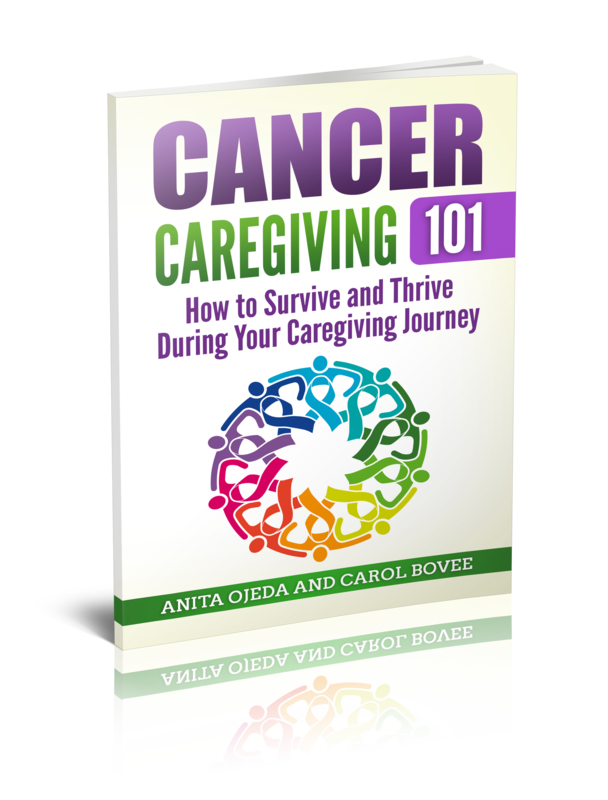 Have you ever felt inadequate as a caregiver (or a mom, or a person)? The promise is for all of us. Claim it!